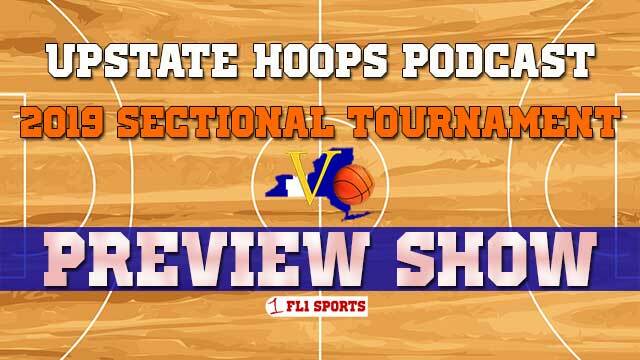 With the regular season completed, all eyes are on the Sectional playoffs that get underway this week across Section V. Join Jim Sinicropi, Kevin Sharp, Zac Young, Geneva varsity girls head coach Ed Collins and Mynderse varsity girls head coach Jerry Anderson live in-studio for a break down of all the brackets for the boys and girls tournaments. Also, FL1 Sports announces our year end awards and the final Power Rankings of the 2018-19 season. FL1 Sports presents a Varsity Night girls/boys doubleheader on Wednesday night, December 9th, in Geneva as the Mynderse Blue Devils take on the Geneva Panthers. Dave Barnick and Kevin Korzeniewski have the call live from Geneva, NY.